George W. Bush's use of signing statements is controversial, both for the number of times employed (estimated at over 750 opinions) and for the apparent attempt to nullify legal restrictions on his actions through claims made in the statements. Some opponents have said that he in effect uses signing statements as a line-item veto although the Supreme Court already held the one line item veto bill as an unconstitutional delegation of power in Clinton v. City of New York. Presidential signing statements are old news to anyone who has served in the White House counsel's office. Presidents have long used them to add their two cents when a law passed by Congress has provisions they do not like, yet they are not inclined to veto it. Nixon's statements, for example, often related to spending authorization laws which he felt were excessive and contrary to his fiscal policies. In this column, I'll take a close look at President Bush's use of signing statements. I find these signing statements are to Bush and Cheney's presidency what steroids were to Arnold Schwarzenegger's body building. Like Schwarzenegger with his steroids, Bush does not deny using his signing statements; does not like talking about using them; and believes that they add muscle. But like steroids, signing statements ultimately lead to serious trouble. Phillip Cooper is a leading expert on signing statements. His 2002 book, By Order of the President: The Use and Abuse of Executive Direct Action, assesses the uses and abuses of signing statements by presidents Ronald Reagan, George H.W. Bush and Bill Clinton. Cooper has updated his material in a recent essay for the Presidential Studies Quarterly, to encompass the use of signing statements by now-President Bush as well. By Cooper's count, George W. Bush issued 23 signing statements in 2001; 34 statements in 2002, raising 168 constitutional objections; 27 statements in 2003, raising 142 constitutional challenges, and 23 statements in 2004, raising 175 constitutional criticisms. In total, during his first term Bush raised a remarkable 505 constitutional challenges to various provisions of legislation that became law. That number may be approaching 600 challenges by now. Yet Bush has not vetoed a single bill, notwithstanding all these claims, in his own signing statements, that they are unconstitutional insofar as they relate to him. President Bush and the attorneys advising him may also anticipate that the signing statements will help him if and when the relevant laws are construed in court - for federal courts, depending on their views of executive power, may deem such statements relevant to their interpretation of a given law. After all, the law would not have passed had the President decided to veto it, so arguably, his view on what the law meant ought to (within reason) carry some weight for the court interpreting it. This is the argument, anyway. Bush has quietly been using these statements to bolster presidential powers. It is a calculated, systematic scheme that has gone largely unnoticed (even though these statements are published in the Weekly Compilation of Presidential Documents) until recently, when President Bush's used a signing statement to attempt to nullify the recent, controversial McCain amendment regarding torture, which drew some media attention. Suppose a new law requires the President to act in a certain manner - for instance, to report to Congress on how he is dealing with terrorism. Bush's signing statement will flat out reject the law, and state that he will construe the law "in a manner consistent with the President's constitutional authority to withhold information the disclosure of which could impair foreign relations, the national security, the deliberative processes of the Executive, or the performance of the Executive's constitutional duties." The upshot? It is as if no law had been passed on the matter at all. Or suppose a new law suggests even the slightest intrusion into the President's undefined "prerogative powers" under Article II of the Constitution, relating to national security, intelligence gathering, or law enforcement. Bush's signing statement will claim that notwithstanding the clear intent of Congress, which has used mandatory language, the provision will be considered as "advisory." The upshot? It is as if Congress had acted as a mere advisor, with no more formal power than, say, Karl Rove - not as a coordinate and coequal branch of government, which in fact it is. As Phillip Cooper observes, the President's signing statements are, in some instances, effectively rewriting the laws by reinterpreting how the law will be implemented. Notably, Cooper finds some of Bush's signing statements - and he has the benefit of judging them against his extensive knowledge of other President's signing statements -- "excessive, unhelpful, and needlessly confrontational." Given the incredible number of constitutional challenges Bush is issuing to new laws, without vetoing them, his use of signing statements is going to sooner or later put him in an untenable position. And there is a strong argument that it has already put him in a position contrary to Supreme Court precedent, and the Constitution, vis-à-vis the veto power. Bush is using signing statements like line item vetoes. Yet the Supreme Court has held the line item vetoes are unconstitutional. In 1988, in Clinton v. New York, the High Court said a president had to veto an entire law: Even Congress, with its Line Item Veto Act, could not permit him to veto provisions he might not like. The Court held the Line Item Veto Act unconstitutional in that it violated the Constitution's Presentment Clause. That Clause says that after a bill has passed both Houses, but "before it become[s] a Law," it must be presented to the President, who "shall sign it" if he approves it, but "return it" - that is, veto the bill, in its entirety-- if he does not. Following the Court's logic, and the spirit of the Presentment Clause, a president who finds part of a bill unconstitutional, ought to veto the entire bill -- not sign it with reservations in a way that attempts to effectively veto part (and only part) of the bill. Yet that is exactly what Bush is doing. The Presentment Clause makes clear that the veto power is to be used with respect to a bill in its entirety, not in part. The frequency and the audacity of Bush's use of signing statements are troubling. Enactments by Congress are presumed to be constitutional - as the Justice Department has often reiterated. For example, take what is close to boilerplate language from a government brief (selected at random): "It is well-established that Congressional legislation is entitled to a strong presumption of constitutionality. See United States v. Morrison ('Every possible presumption is in favor of the validity of a statute, and this continues until the contrary is shown beyond a rational doubt.')." Bush's use of signing statements thus potentially brings him into conflict with his own Justice Department. The Justice Department is responsible for defending the constitutionality of laws enacted by Congress. What is going to happen when the question at issue is the constitutionality of a provision the President has declared unconstitutional in a signing statement? Does the President's signing statement overcome the presumption of constitutionality? I doubt it. Will the Department of Justice have a serious conflict of interest? For certain, it will. Should thus Congress establish its own non-partisan legal division, not unlike the Congressional Reference Service, to protect its interests, since the Department of Justice may have conflicts? It's something to think about. These are just a few practical and constitutional problems that arise when a president acts as if there is his government, and then there is the Congress' government. Signing statements often ignore the fact the only Congress can create all the departments and agencies of the Executive Branch, and only Congress can fund these operations. And the power to create and fund is also, by implication, the power to regulate and to oversee. Congress can, to some extent, direct how these agencies will function without infringing on presidential power. The immediate impact of signing statements, of course, is felt within the Executive Branch: As I noted, Bush's statements will likely have a direct influence on how that branch's agencies and departments interpret and enforce the law. It is remarkable that Bush believes he can ignore a law, and protect himself, through a signing statement. Despite the McCain Amendment's clear anti-torture stance, the military may feel free to use torture anyway, based on the President's attempt to use a signing statement to wholly undercut the bill. This kind of expansive use of a signing statement presents not only Presentment Clause problems, but also clashes with the Constitutional implication that a veto is the President's only and exclusive avenue to prevent a bill's becoming law. The powers of foot-dragging and resistance-by-signing-statement, are not mentioned in the Constitution alongside the veto, after all. Congress wanted to impeach Nixon for impounding money he thought should not be spent. Telling Congress its laws do not apply makes Nixon's impounding look like cooperation with Congress, by comparison. The longer term impact of signing statements is potentially grave - and is being ignored by the Bush administration. But it cannot be ignored forever. Defiance by Bush of Congressional lawmaking will come back to haunt this President. Bush, who has been pushing the envelope on presidential powers, is just beginning to learn what kind of Congressional blowback can result. First, there are the leaks: People within the Executive branch become troubled by a president's overreaching. When Nixon adopted extreme measures, people within the administration began leaking. The same is now happening to Bush, for there was the leak about the use of torture. And, more recently, there was the leak as to the use of warrantless electronic surveillance on Americans. Once the leaks start, they continue, and Congressional ire is not far behind. The overwhelming Congressional support for Senator John McCain's torture ban suggests, too, that Congress will not be happy if leaks begin to suggest the President - as his signing statement foreshadows - is already flouting the ban. In short, Bush's signing statements, which are now going over the top, are going to cause a Congressional reaction. It is inevitable. If Republican lose control of either the House or Senate - and perhaps even if they don't, if the subject is torture or an egregious violation of civil liberties -- then the Bush/Cheney administration will wish it had not issued all those signing statements. Indeed, the Administration may be eating its words - with Congress holding the plate out, and forcing the unconstitutional verbiage back down. That, in the end, is the only kind of torture Americans ought to countenance. WASHINGTON -- The office of Vice President **** Cheney routinely reviews pieces of legislation before they reach the president's desk, searching for provisions that Cheney believes would infringe on presidential power, according to former White House and Justice Department officials. The officials said Cheney's legal adviser and chief of staff, David Addington, is the Bush administration's leading architect of the "signing statements" the president has appended to more than 750 laws. The statements assert the president's right to ignore the laws because they conflict with his interpretation of the Constitution. The Bush-Cheney administration has used such statements to claim for itself the option of bypassing a ban on torture, oversight provisions in the USA Patriot Act, and numerous requirements that they provide certain information to Congress, among other laws. Previous vice presidents have had neither the authority nor the interest in reviewing legislation. But Cheney has used his power over the administration's legal team to promote an expansive theory of presidential authority. Using signing statements, the administration has challenged more laws than all previous administrations combined. "Addington could look at whatever he wanted," said one former White House lawyer who helped prepare signing statements and who asked not to be named because he was describing internal deliberations. "He had a roving commission to get involved in whatever interested him." Knowing that Addington was likely to review the bills, other White House and Justice Department lawyers began vetting legislation with Addington's and Cheney's views in mind, according to another former lawyer in the Bush White House. All these lawyers, he said, were extremely careful to flag any provision that placed limits on presidential power. "You didn't want to miss something," said the second former White House lawyer, who also asked not to be named. Cheney and Addington have a long history. Addington was a Republican staff member on the congressional committee investigating the Iran-Contra scandal in the 1980s, while Cheney was the ranking GOP House member. When Cheney became defense secretary under President George H. W. Bush , he hired Addington as Pentagon counsel. After Cheney became vice president in 2001, he again hired Addington as counsel. Addington played a major role in shaping the administration's legal policies in the war on terrorism, including a 2002 memo arguing that Bush could authorize interrogators to bypass anti torture laws. In October, when Cheney's former chief of staff, I. Lewis "Scooter" Libby , was indicted for perjury and resigned, Cheney replaced Libby with Addington. A spokeswoman for Cheney's office, asked to comment on Addington's role in reviewing legislation, said, ``We do not comment on internal deliberations." Addington, through the spokeswoman, declined to be interviewed. But Martin Lederman , who worked in the Justice Department's Office of Legal Counsel under presidents Bill Clinton and George W. Bush , said that Addington is simply doing the day-to-day legwork for Cheney and that he is influential within the administration because of the vice president's desire to enhance executive power and Bush's willingness to endorse Cheney's views. "In every administration, Democratic and Republican, there are officials with strongly held constitutional views, including somewhat idiosyncratic views," said Lederman, now a law professor at Georgetown University. "What is new is that the extremely idiosyncratic and aggressive constitutional views are being adopted by the vice president and, therefore, by the administration." Previous administrations left the reviewing of legislation to the White House counsel's office and the Justice Department's Office of Legal Counsel. "What's happening now is unprecedented on almost every level," said Ron Klain , who was chief of staff to Vice President Al Gore from 1995 to 1999. "Gore was a very active policy maker in the Clinton administration, but that didn't include picking through bills of Congress to find things to disagree with." The administration insists that Bush's use of signing statements is not unprecedented. Justice Department spokesman Brian Roehrkasse said, "President Bush's signing statements are lawful and indistinguishable from those issued on hundreds of occasions by past presidents." The use of signing statements was rare until the 1980s, when President Ronald W. Reagan began issuing them more frequently. His successors continued the practice. George H. W. Bush used signing statements to challenge 232 laws over four years, and Bill Clinton challenged 140 over eight years, according to Christopher Kelley , a political science professor at Miami University of Ohio. 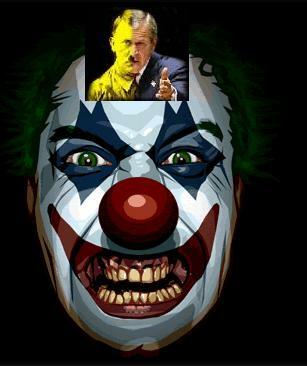 But in frequency and aggression, the current President Bush has gone far beyond his predecessors. All previous presidents combined challenged fewer than 600 laws, Kelley's data show, compared with the more than 750 Bush has challenged in five years. Bush is also the first president since the 1800s who has never vetoed a bill, giving Congress no chance to override his judgments. Douglas Kmiec , who as head of the Office of Legal Counsel helped develop the Reagan administration's strategy of issuing signing statements more frequently, said he disapproves of the "provocative" and sometimes "disingenuous" manner in which the Bush administration is using them. Kmiec said the Reagan team's goal was to leave a record of the president's understanding of new laws only in cases where an important statute was ambiguous. Kmiec rejected the idea of using signing statements to contradict the clear intent of Congress, as Bush has done. Presidents should either tolerate provisions of bills they don't like, or they should veto the bill, he said. "Following a model of restraint, [the Reagan-era Office of Legal Counsel] took it seriously that we were to construe statutes to avoid constitutional problems, not to invent them," said Kmiec, who is now a Pepperdine University law professor. By contrast, Bush has used the signing statements to waive his obligation to follow the new laws. 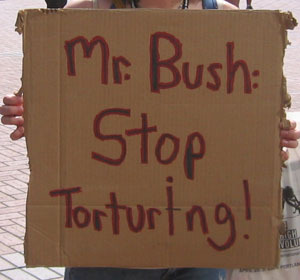 In addition to the torture ban and oversight provisions of the Patriot Act, the laws Bush has claimed the authority to disobey include restrictions against US troops engaging in combat in Colombia, whistle-blower protections for government employees, and safeguards against political interference in taxpayer-funded research. Cheney's office has taken the lead in challenging many of these laws, officials said, because they run counter to an expansive view of executive power that Cheney has cultivated for the past 30 years. Under the theory, Congress cannot pass laws that place restrictions or requirements on how the president runs the military and spy agencies. Nor can it pass laws giving government officials the power or responsibility to act independently of the president. Mainstream legal scholars across the political spectrum reject Cheney's expansive view of presidential authority, saying the Constitution gives Congress the power to make all rules and regulations for the military and the executive branch and the Supreme Court has consistently upheld laws giving bureaucrats and certain prosecutors the power to act independently of the president. One prominent conservative, Richard Epstein of the University of Chicago Law School, said it is "scandalous" for the administration to argue that the commander in chief can bypass statutes in national security matters. "It's just wrong," Epstein said. "It is just crazy as a matter of constitutional interpretation. There are some pretty clear issues, and this is one of them." Laurence Tribe , a prominent liberal at Harvard Law School, said: "Nothing in the text and structure of the Constitution, or Supreme Court precedents, supports the Bush-Cheney assertion that Congress cannot limit or direct what government officials may or must do." Common Dreams "The American Bar Association's House of Delegates voted yesterday to call on President Bush and future presidents not to issue ``signing statements" that claim the power to bypass laws, and it urged Congress to pass legislation to help courts put a stop to the growing practice." 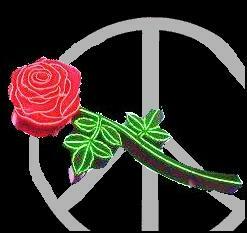 Common Dreams "The practice has infuriated members of Congress in both parties because it threatens to diminish their power. They consider it an assault on the notion that the constitution establishes the United States' three branches of government -- legislative, judicial, and executive -- as co-equal. Further fuelling Congressional anger is Bush's defence of his National Security Agency (NSA) "domestic eavesdropping" programme, in which the president claimed he could ignore a 1978 law prohibiting wiretaps of U.S. citizens without "probable cause" and a warrant issued by a court. Truthdig Sen. Arlen Specter, Senate Judiciary chairman, introduce bill to allow Congress to sue Bush in federal court to declare signing statements illegal. American Bar Association search: Bush signing statements, poses a dangerous challenge to the constitutional checks and balances central to power in the US. Mercury News Bush signing statements, pose a dangerous challenge to the constitutional checks and balances central to power in the US.